For every car that exists, there’s a shotgun blast of marketing hype to make it sound like the greatest thing since sliced bread. When you try to chuck that nonsense across cultures and languages with an instrument as imprecise as Google Translate, hilarity ensues. 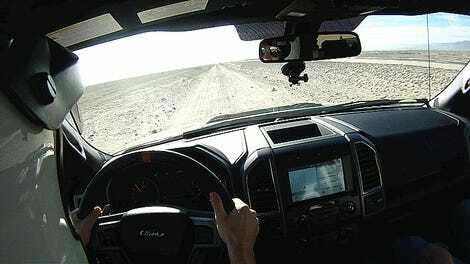 Actually, you might call it poetry, and the new Ford Raptor proves it. Here in the United States, Ford uses phrases like “Not just leaner. Meaner,” “ beast,” “part rocket” and “nasty outside. Nice inside.” Which isn’t what I’d call inspired but, sure, it’s fine. 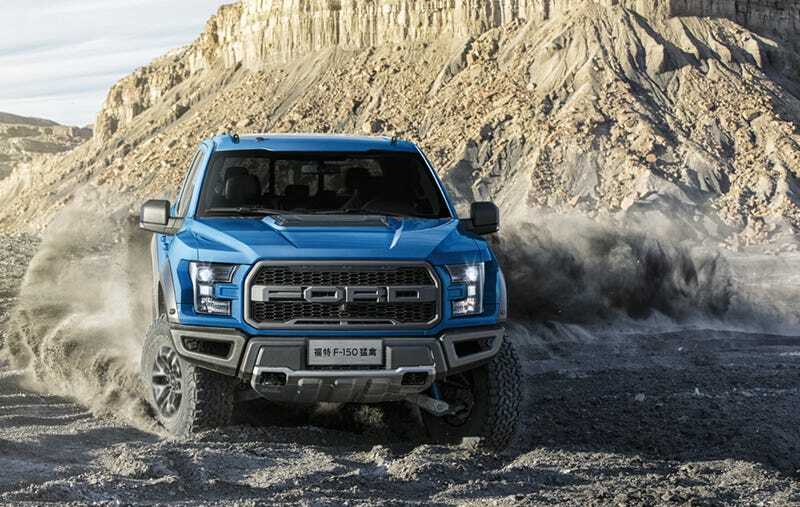 Now as you may have heard, the high-performance Raptor is just about to hit the market in China. So naturally, the company has set up a website in Chinese, too. And from the perspective of me, a person whose only knowledge of the Chinese language is provided by Google Translate, the site for the People’s Republic seems way better than ours. Get a load of the clackers on this crew! Why mess around with half-measures of hyperbole when you could just come out and call your car indestructible and unstoppable? Who’s going to call you out? Some dumb journalist who bends the frame? Who knows, but this is a hell of a lot stronger than a flaccid cliché like “Not just leaner. Meaner.” I mean, it’s stronger than anything. It’s indestructible. The word “majestic” is tragically underused in American advertising. “Heart majestic” is even better. Sounds like the title of a free Netflix movie I’d begrudgingly agree to watch with my significant other and then end up loving and casually referencing in my Jalopnik posts. Or maybe a race horse. Our mountains do need love. The kind of love only the tires of my Ford Raptor can provide. Man, is it ski season yet? It is? God, I’ve got to leave Los Angeles more often. Ouch, this one gets me right in the guilt-guts. A screw-you with a slap of nihilism at the end to make you feel even worse. Get with the times, geezer, so you can move through the pointless struggle we call life harder and faster and eventually get nothing out of it. Do you think I’m getting a little too reflective? I feel like somebody took that excellent Peter Gabriel song “Big Time” and condensed it into one sentence. The usurping concept is pretty dark for a car ad, too. Bold. I like it. Maybe I should start feeding my articles through a few more languages before publishing them. Obviously, Google Translate doesn’t shy away from hilarious and profound hyperbole.